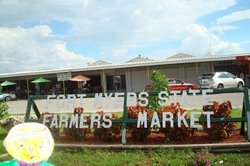 Two large eggs served w/ your choice of thick cut bacon or sausage (link or patty), w/ a side choice of grits, hash browns, or home fries. Toast or biscuit included. 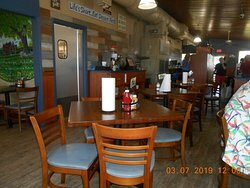 Two large eggs served w/ our hickory smoked ham & your side choice of grits, hash browns, or home fries. Toast or biscuits included. 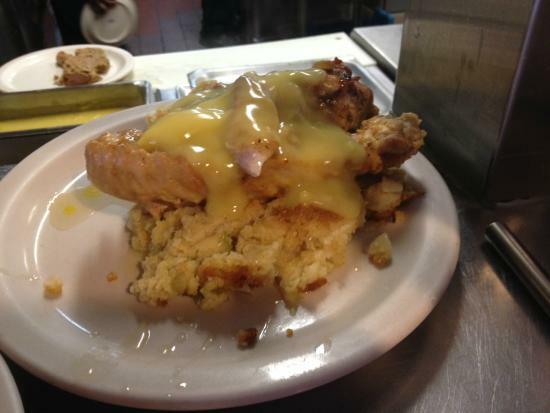 Two large eggs served w/ a fried center cut pork chop & your side choice of grits, hash browns, or home fries. Toast or biscuits included. Tennessee country ham (salt cured) served w/ your side choice of grits, hash browns, or home fries. Toast or biscuits included. Our delicious homemade sausage gravy & biscuits. 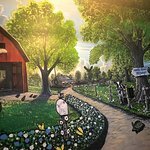 One grade aa egg, served w/ thick cut bacon or sausage (link or patty) & your side choice of grits, hash browns, or home fries. Toast or biscuits included. All omelets are served w/ your side choice of grits, hash browns, or homes fries & toast or biscuit. Three large buttermilk pancakes served w/ syrup, your choice of thick cut bacon or sausage (link or patty). Add hickory smoked ham instead for only.55 more. Three thick-cut pieces of French toast w/ syrup. 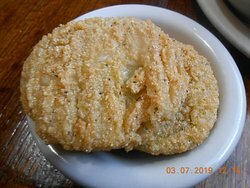 Served w/ your choice of grits, hash browns, or home fries, toast or biscuit included. 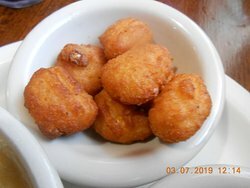 Served w/ homemade corn bread or rolls. 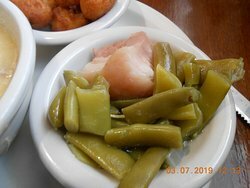 Served w/‏ your choice of three daily sides above & fresh cornbread or rolls. 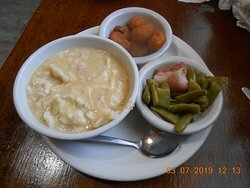 Served w/ your choice of three daily sides above & fresh cornbread or rolls. 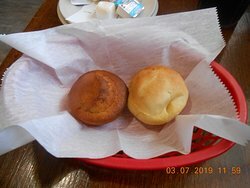 Served w/ your choice of one daily side above & fresh cornbread or rolls. Restaurant vide, le service est horrible! Ne laissez pas les regards extérieurs vous tromper! J'ai adoré cet endroit. La nourriture comme ma grand-mère était en fait j'étais plus jeune. 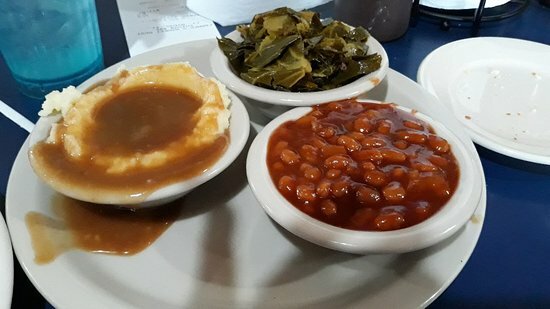 Si vous aimez le Southern Comfort cuisine c'est l'endroit qu'il vous faut ! Obtenez des réponses rapides du personnel et personnes ayant visité le Farmers Market Restaurant.